Here is another recipe we’re sharing with you – Menudo by Chef Anton Abad. This Filipino favorite is said to be of Spanish origin with some citing similarities with Cocido, another Spanish dish. The Filipino has made Menudo his very own dish, but you can also expect some variation in the recipe here and there. Menudo is a basic dish of meat and potato in a tomato based sauce is now served in as many ways as there are ingredients available to the adventurous cook. 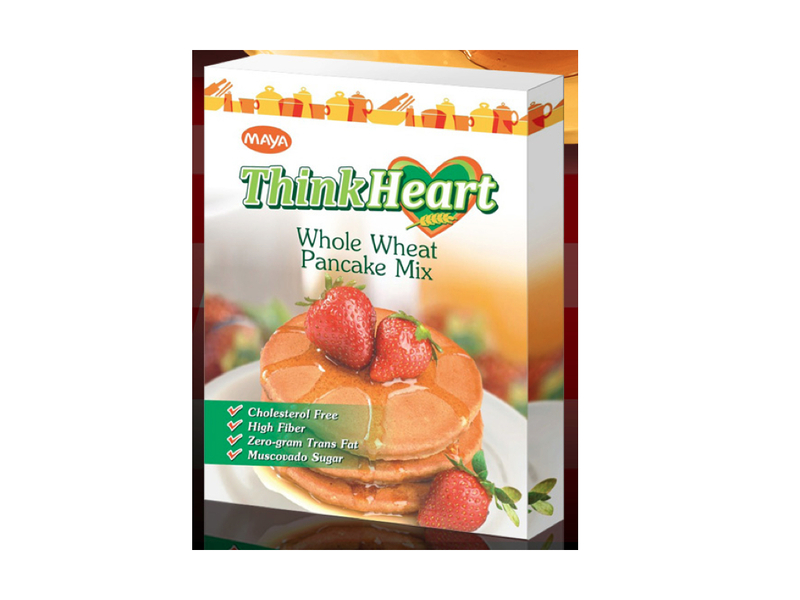 I love that Maya now has the ‘ThinkHeart’ Whole Wheat Pancake Mix. It is aÂ perfect treat for our family’s quest to eating healthier foods this 2011.Â This is actually the first time I have encountered a pancake mix that is made of whole wheatÂ and as I checked out the many recipes in www.themayakitchen.com, I found this Whole Wheat Malunggay Pancake that I hope to try at home very soon.